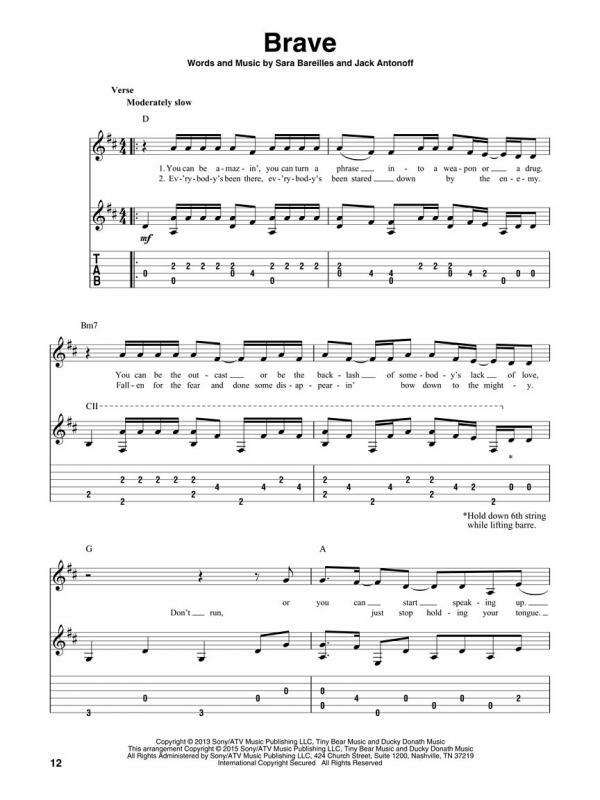 FINGERPICKING POPULAR HITS. 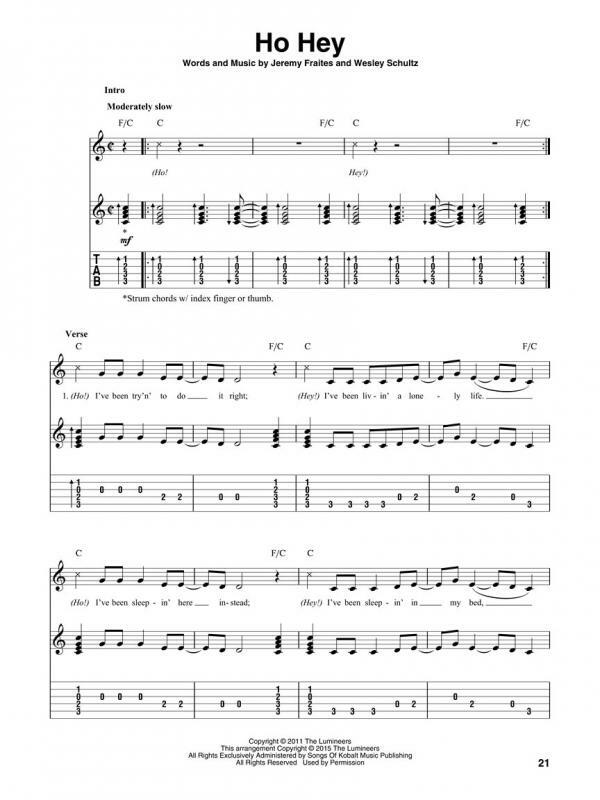 SHEET MUSIC BOOK WITH GUITAR TABLATURE. 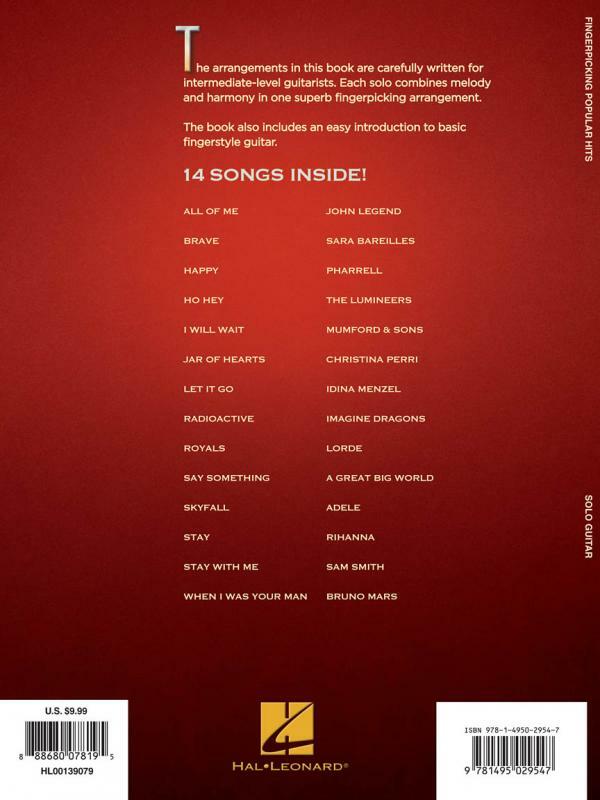 LIBRO DI MUSICA POP ROCK. 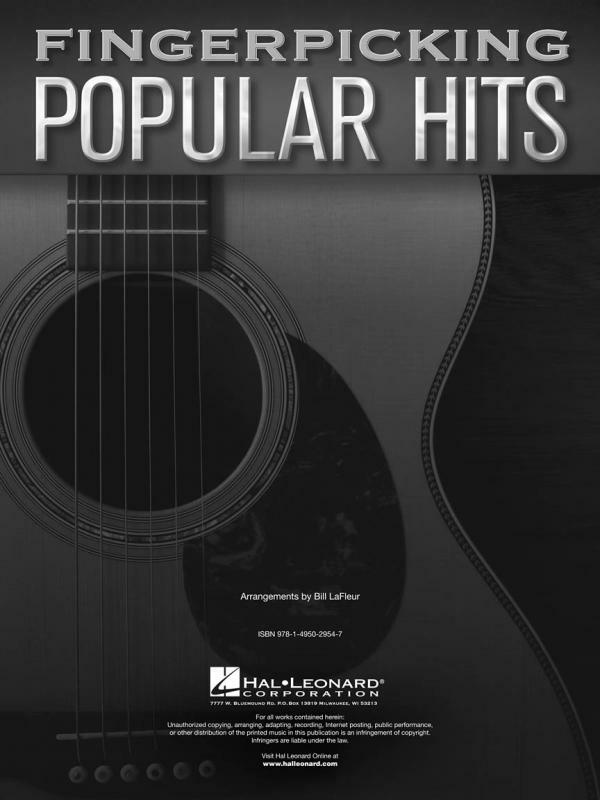 Melody and harmony are combined into superb solo fingerpicking arrangements in this collection of 14 hot pop hits. 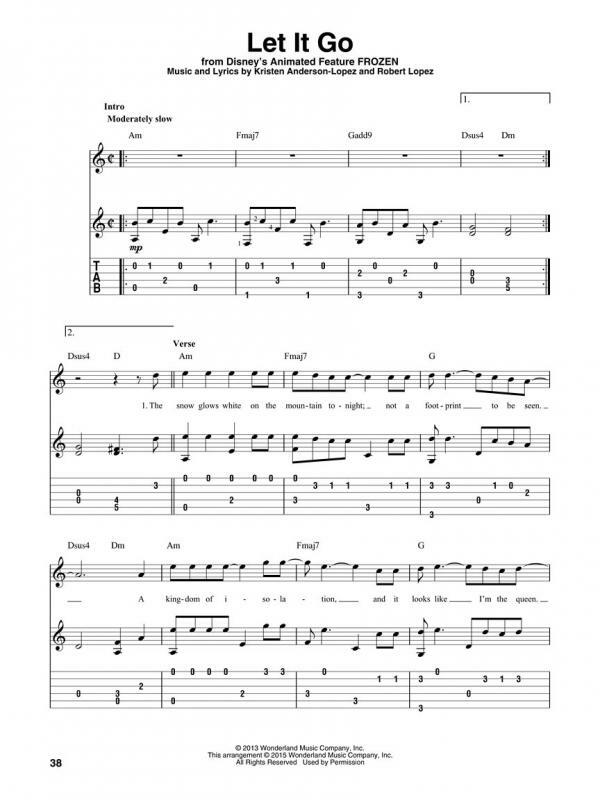 The songs are presented in standard notation and tab and are carefully written for intermediate-level guitarists. 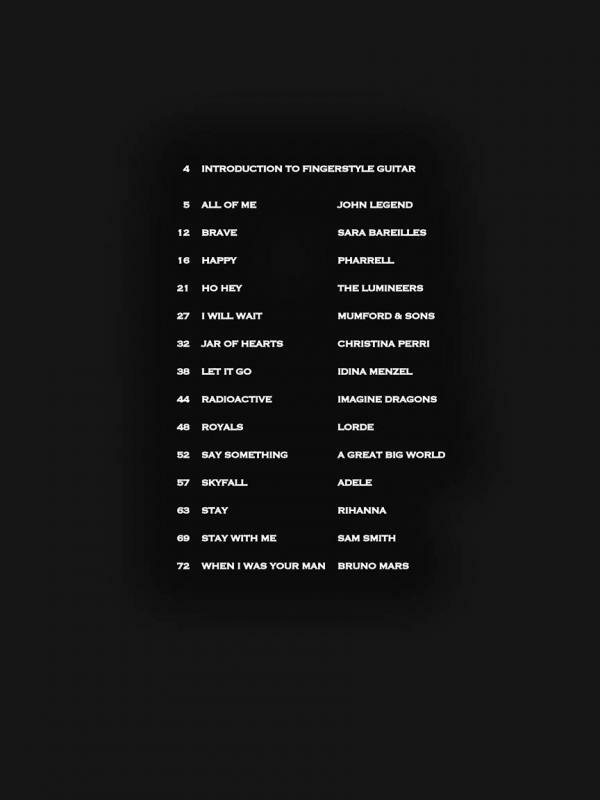 Includes: All of Me • Brave • Happy • Ho Hey • I Will Wait • Jar of Hearts • Let It Go • Radioactive • Royals • Say Something • Skyfall • Stay • Stay with Me • When I Was Your Man.